Hi! 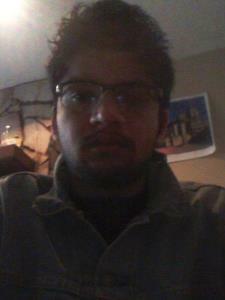 I am Saroj from Kathmandu, Nepal, currently a graduate student in Environmental Engineering at Lamar University. I graduated on 2013 with Bachelor of Science in Molecular Biology with minor in Chemistry from Southeastern LA University. When I was in college, I worked as a tutor and supplement instructor. I tutored Physics, Chemistry, Biology and Math. I have 3 years of tutoring experience and I am very passionate about tutoring science and math. If you are looking for a tutor, give me a try. People generally enjoy learning from me, you might too! I have obtained B.Sc in microbiology. I have also worked as a physics, chemistry, biology and math tutor during my college days. I have completed college education with 3.772 GPA. I graduated with B.Sc in microbiology with minor in Chemistry. I I have also worked as a math, physics, chemistry and biology tutor while at my college. I am a experienced science and math tutor. I have completed B.Sc in molecular biology. Besides that, I have also tutored microbiology, genetics and general biology during my college days. I have worked as a biology tutor before, and genetics is one of the fields that I know very well. My son was very impressed with Saroj. Very helpful in Inorganic Chemistry II. Very qualified and more than met our needs.